Earning $500,000 in 10 cities, “The Hate U Give” had a successful turnout for its early release last weekend. 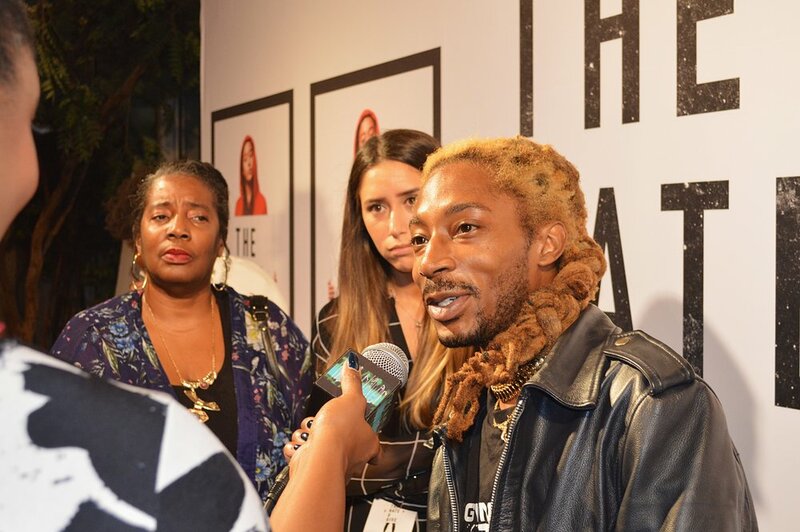 The Blackprint got an exclusive opportunity to hear from the film’s creative team about the success of the film and its upcoming nationwide release. BP: We know the book came out fairly recently, so the push to get the movie out seems pretty fast. Why is now the time for this film? GT: The book was number one for like 70 weeks, so I felt like I wanted to make this film right away. It was a story that really spoke to me. And I felt like it was the right time, the right climate. We really pushed to get it going and get it on to the screen. BP: Police brutality is very visible in the media today. We’re there any cases in particular that influenced your portrayal of police brutality in this film? GT: It was more of a representation of my feelings for everyone. If you look at the Philando Castile situation, that shooting really informed me of how to shoot our scene. Or the Mike Brown funeral. The way the funeral was set up, a lot was taken from there. With Trayvon Martin, representing the hoodie, you know, the red hoodie that Starr wears. So we took a lot from what we know and what we see in the news. We used our interpretation for that because we wanted to honor those guys, and honor their families, so this was our way of doing that. BP: Do you have any advice for aspiring filmmakers, especially filmmakers of color? GT: I think it's very important for us to tell our own stories. When I first started I was terrible at grammar. I was terrible at writing sentences. It was always tough with that, but I had a story. And I wrote the script soulfully. I just did it because that was my story, that was my family. I think it’s very important to write your own stories, because nobody can tell it better than you. And I feel like “Soul Food” was the beginning for me. BP: What did you want people, who had similar experiences to your character, Starr — of growing up in the projects and attending predominantly white schools — but never saw it on the big screen, what did you want them to take away from your character? AS: I wanted them to feel that it was an authentic representation. Because you don't’ always have open, nuanced conversations around code switching, and what that feels like. And entering spaces knowing that you can’t show up authentically, as who you are because it could be detrimental to your success. Or you know that you’re entering into a space where people won’t get you or understand your. I wanted that to be represented because I had a really similar experience growing up. BP: What advice would you have for students, activists, actors, etc. who are trying to find their voice? AS: My number one tip right now is there will be plenty of people who will try to police your voice so don’t police yourself. BP: What drew you to this storyline and inspired your song? BP: Do you have any messages for students of color who are musically inclined and want to get their message out? BS: Absolutely. I think it is important to know that every important person, every figure that speaks out about social justice, that, just like you, they deal with anxiety of speaking out about it. They deal with the fear that comes along with it. Understand that they are regular humans just like you, and they built up the confidence over time to speak out. And I believe that we all have the power to do the same thing. BP: What inspired your song for the movie? BYP: I know the film deals with a heavy subject matter, so they were looking for one upbeat when we’re dealing with such dark issues. So, I was just there to create that kind of balance. And again, feeling connected to the storyline, I felt like coming out of DC and it being such a political socioeconomic place, it kind of fit right in with the fabric of everything that the film was doing. BP: Any advice for aspiring that have a similar message? BYP: Yeah, go for it. Don’t quit. You gotta be very steadfast with it. “The Hate U Give” opens everywhere on October 19.